We at Insider Monkey have gone over 700 13F filings that hedge funds and prominent investors are required to file by the SEC. The 13F filings show the funds’ and investors’ portfolio positions as of September 30. In this article, we look at what those funds think of Grupo Aeroportuario del Sureste, S. A. B. de C. V. (NYSE:ASR) based on that data. Mexican airport holding company Grupo Aeroportuario del Sureste, S. A. B. de C. V. (NYSE:ASR) was not highly thought of by many hedge funds as of September 30, as just 3 of the funds tracked by our database were shareholders of the company. In Trapeze Asset Management’s Q3 Investor Letter, the fund discussed its long position in ASR, noting the company’s improving margins and further growth opportunities. How are hedge funds trading Grupo Aeroportuario del Sureste, S. A. B. de C. V. (NYSE:ASR)? At the end of the third quarter, a total of 3 of the hedge funds tracked by Insider Monkey held long positions in this stock, a 25% decline from the end of the second quarter of 2018. 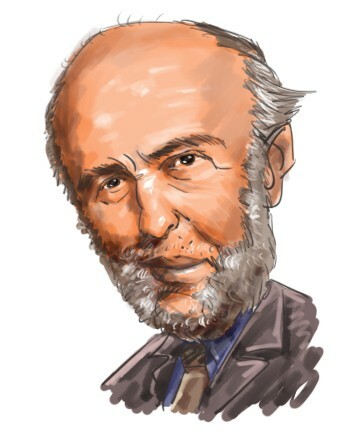 When looking at the institutional investors followed by Insider Monkey, Renaissance Technologies, managed by Jim Simons, holds the most valuable position in Grupo Aeroportuario del Sureste, S. A. B. de C. V. (NYSE:ASR). Renaissance Technologies has a $8.4 million position in the stock. The second most bullish fund manager is Michael Moriarty of Teewinot Capital Advisers, with a $5.1 million position; 1.6% of its 13F portfolio is allocated to the stock. Some other members of the smart money with similar optimism include Cliff Asness’ AQR Capital Management. We view hedge fund activity in the stock as unfavorable, but in this case there was only a single hedge fund selling its entire position: Millennium Management. One hedge fund selling its entire position doesn’t always imply a bearish intent. Theoretically a hedge fund may decide to sell a promising position in order to invest the proceeds in a more promising idea. However, we don’t think this is the case in this case because only one of the 700+ hedge funds tracked by Insider Monkey identified it as a viable investment and initiated a position in the stock (that fund was PEAK6 Capital Management). Let’s check out hedge fund activity in other stocks – not necessarily in the same industry as Grupo Aeroportuario del Sureste, S. A. B. de C. V. (NYSE:ASR) but similarly valued. These stocks are Knight-Swift Transportation Holdings Inc. (NYSE:KNX), Pure Storage, Inc. (NYSE:PSTG), BlackBerry Limited (NYSE:BB), and Grupo Aeroportuario del Pacífico, S.A.B. de C.V. (NYSE:PAC). This group of stocks’ market valuations are closest to ASR’s market valuation. As you can see these stocks had an average of 21 hedge funds with bullish positions and the average amount invested in these stocks was $523 million. That figure was $18 million in ASR’s case. Knight Transportation (NYSE:KNX) and Pure Storage, Inc. (NYSE:PSTG) are the most popular stocks in this table. On the other hand Grupo Aeroportuario del Pacífico, S.A.B. de C.V. (NYSE:PAC) is the least popular one with only 5 bullish hedge fund positions. Grupo Aeroportuario del Sureste, S. A. B. de C. V. (NYSE:ASR) is even less popular than PAC, making it a risky proposition. We would hold off until more members of the smart money start seeing untapped value in ASR. Is It Time to Follow Hedge Funds Into BP p.l.c. (BP)? Billionaire Ken Fisher is Betting Big on this Japanese Banking Giant Hedge Funds Are Underwhelmed by Sanofi (SNY)’s Growth Prospects Hedge Funds Are Dumping C.H. Robinson Worldwide, Inc. (NASDAQ:CHRW) Is Old Dominion Freight Line, Inc. (NASDAQ:ODFL) A Good Stock To Buy? Is Ulta Beauty, Inc. (NASDAQ:ULTA) A Good Stock To Buy?